A most attractive, extended semi-detached house in a much sought after location. 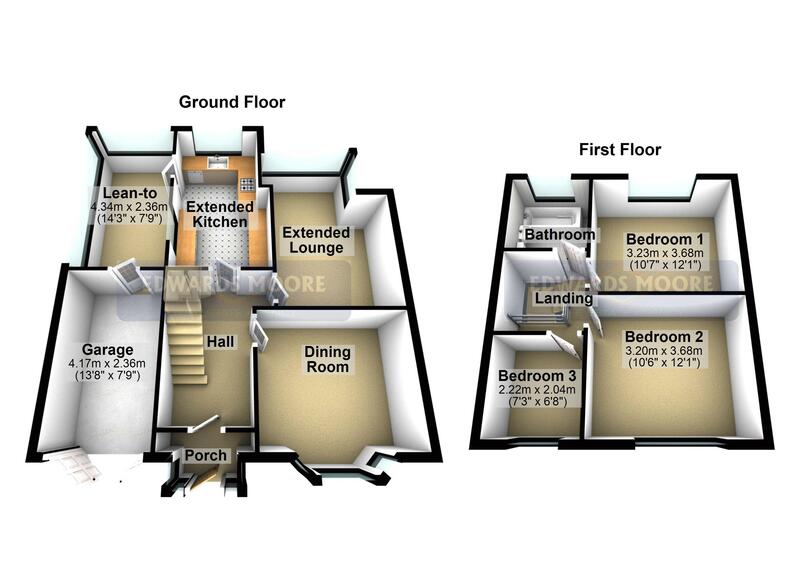 This spacious living accommodation should be viewed internally to be fully appreciated. Having gas central heating and Upvc double glazing the accommodation briefly comprises: enclosed porch, reception hall, extended lounge with dining Room, extended kitchen, attractively fitted bathroom, large rear garden and extensive driveway with parking. The property has further potential to extended subject to usual building and planning consents. Viewing highly recommended. Having stairs off to first floor landing, timber flooring, radiator, ceiling light point, under stairs storage cupboard and doors leading off to. 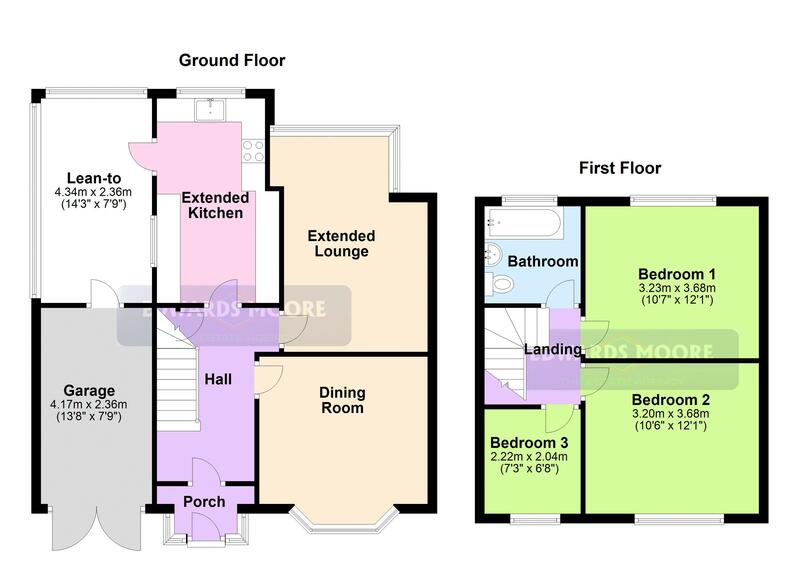 Having stairs off to first floor landing, wooden flooring, under stairs storage cupboard and doors leading off to. Having a double glazed bay window to fore, laminate flooring, radiator, ceiling light point and electric fire. Having a double glazed window to rear, ceiling coving, feature fire place with fitted gas fire and ceiling light point. Having a range of wall cupboards and base units, Belfast style sink with mixer tap over, electric hob with work surfaces, part tiled walls, plumbing for washing machine, double glazed windows to side and rear and door leading to. Having single glazed windows to side and rear and access to garage and rear garden. Having a double glazed window to rear, radiator and ceiling light point. Having radiator, double glazed window to fore and ceiling light point. Having a double glazed window to fore, ceiling light point and radiator. Having a bath shower screen, obscure double glazed mature rear wash hand basin, low level W.C., and shower, radiator and fully tiled walls. Having double doors to fore. The property is approached via a blocked paved driveway with access to front entrance and garage. To the rear of the property commands a large rear garden with patio area and boundary fencing.